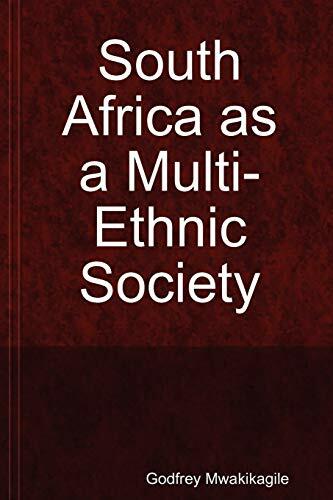 The author looks at South Africa as a society whose multiple ethnic identities collectively constitute what is probably the most dynamic and most productive country on the continent. The country's ethnic diversity is a source of strength. It also poses challenges, although South Africa has not fractured along ethnic lines as some countries have. The work is also a telescopic survey of the country's history, geography and cultural landscape, providing a comprehensive picture of this vibrant nation whose population includes immigrants from other parts of the continent who have flocked into South Africa in large number since the end of apartheid. Their presence in "the rainbow nation" has also been a source of tension between the immigrants and black South Africans, especially in the poverty-stricken townships across the country. The immigrants have also contributed to the nation's ethnic and cultural diversity which is one of the prominent features of the South African society. The book may serve members of the general public who are learning about South Africa for the first time. It may also be helpful to students including those going to South Africa. Those who specialise in South Africa may also find this work to be useful.